An international team of astrophysicists has discovered the brightest supernova yet, briefly blazing fifty times brighter than the entire Milky Way galaxy. It’s a strange new way for stars to die. As described in a new paper in Science, this spectacularly extravagant stellar explosion — part of a classification known as super luminous supernovae — may give us a peak into the death of stars from near the beginning of the Universe, helping unravel the secrets of early stellar evolution. It’s been named ASAS-SN-15lh. Humans have been spotting the suddenly bright pinpricks of stars violently exploding in the night sky for thousands of years, with some records even telling of the rapid appearance and disappearance of stars so bright they can be seen by the naked eye even during in the day. Superluminous supernova kick it up a notch, shining a hundred to a thousand times brighter than a normal nova. Unlike other supernova that usually occur in bright galaxies with older stars on the brink of death, the few superluminous supernova we’ve found are usually in dim galaxies spitting out piles of new stars. Standard surveys only scan the bright galaxies, targeting resources to up the chances of spotting an event right away, and ignore the dim galaxies entirely. We only found this latest supernova at all because of the All-Sky Automated Survey for SuperNovae (ASAS-SN). 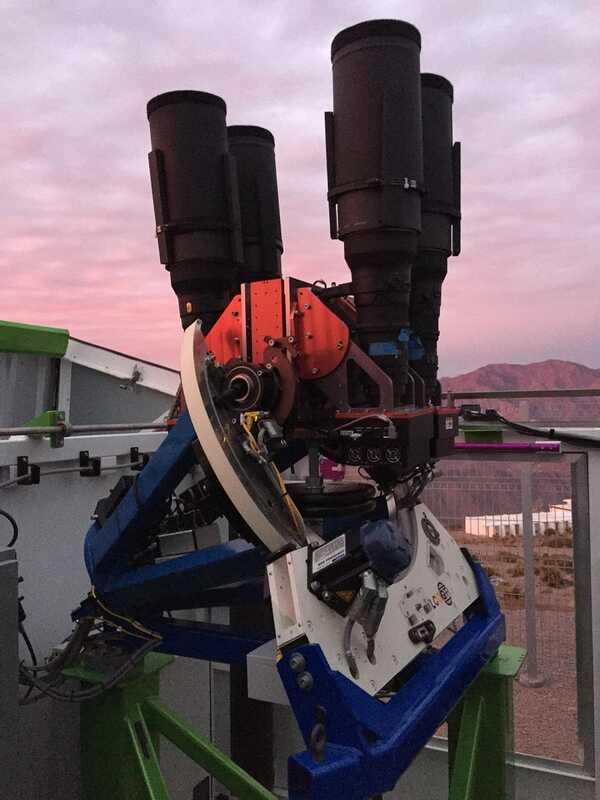 The automated survey scans the entire sky every few nights, checking for changes in luminosity in visible wavelengths. If the computer at Ohio State University identifies a suddenly bright blip, it calls in researchers to look the spectra over. The only survey of its kind, the global network of telescopes should be able to spot any supernovae within 350 million light years of Earth. After subsequent observations, researchers concluded that ASAS-SN-15lh had the same type of spectra of other superluminous supernova, just amped up twice as bright and far hotter than any seen before. The paper’s lead author, Subo Dong, received the results at 2 AM local time, and was too excited to sleep. Once they had more contextual data, the researchers discovered that ASAS-SN-15lh wasn’t just bright, so was its galaxy. We’ve only found a few other superluminous supernovae, but all were in dim galaxies with active star formation. In contrast, ASAS-SN-15lh appears to be in a galaxy even brighter than the Milky Way, with a well-established population of middle-aged stars. Or perhaps its home is in a yet-to-be-observed extremely faint neighbouring galaxy so dim it’s drowned out by its overbearing neighbour. The research team has scheduled time on the Hubble Space Telescope this year to answer this question. We don’t yet have a good theory for what explodes to create a superluminous supernova. The current frontrunner is that they’re magnetars run amok. The idea is that when a magnetar — a neutron star with an intense magnetic field — explodes in a blaze of glory, its magnetic field is intensifying the energy of the explosion to boost luminosity to ludicrous levels.